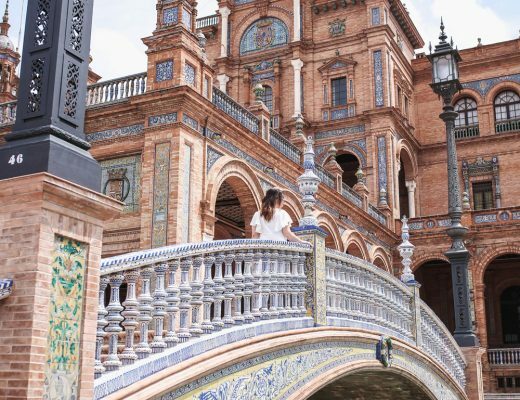 As you guys can probably already tell, I’m a big fan of hopping on a plane to head off to some far-away destination—whether it’s my most recent trip to Andalusia or my upcoming adventures in Greece, there’s nothing I find more thrilling than discovering someplace new. 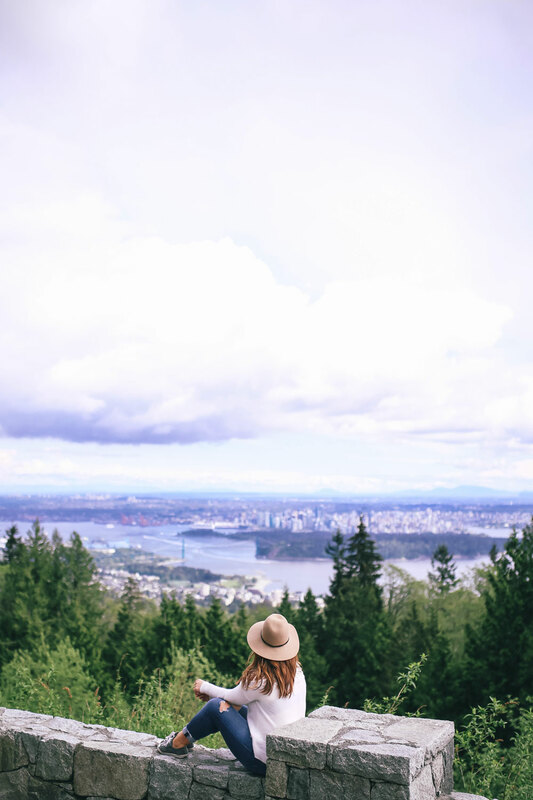 Having said that, a couple years ago I really decided to commit myself to uncovering more of the beauty that’s here in Vancouver and its surrounding areas. I mean, seriously…it’s beautiful here! 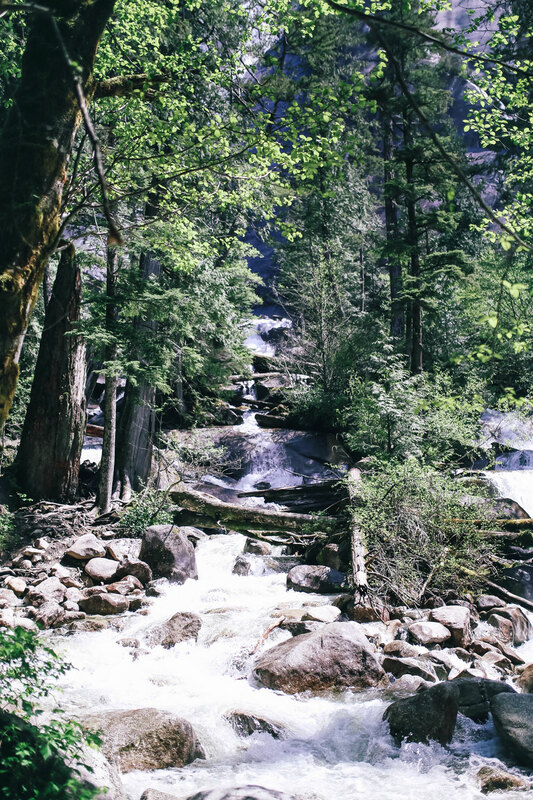 I’m really fortunate to have this wilderness wonderland all around me. 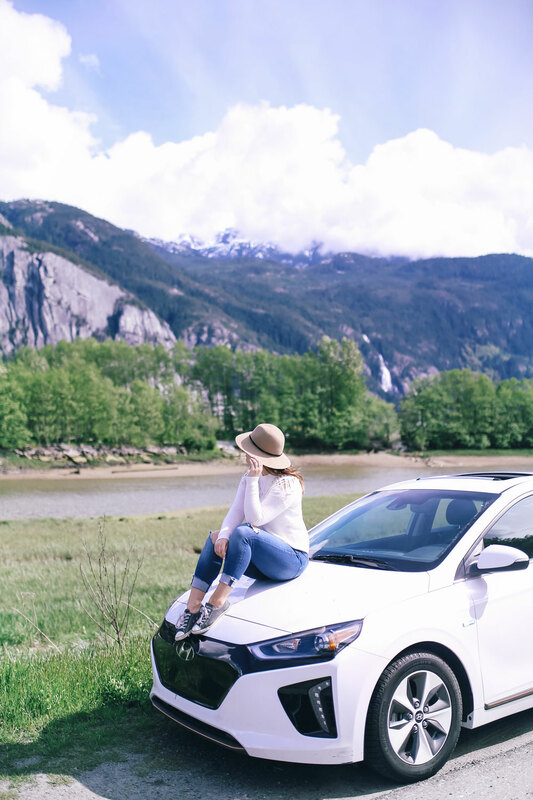 Thanks to Hyundai, I got the chance to experience and discover one of my favourite routes (Vancouver to my go-to, Whistler of course!) in their incredible and innovative new electric vehicle, which features the most advanced, environmentally-conscious technology: the Ioniq! 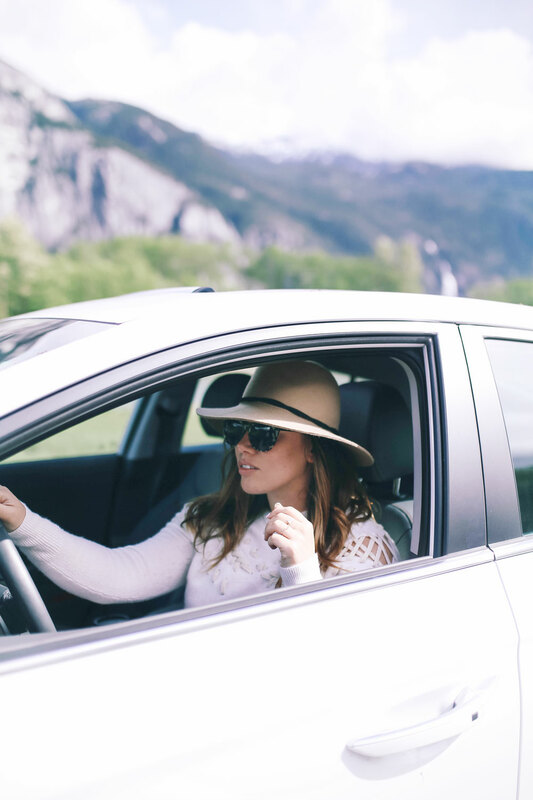 I’m usually driving to Whistler at least 8-10 times per year, going from Point A to Point B. But it’s honestly one of the most scenic drives with some of the most incredible naturally beautiful spots on the West Coast. Since I know so many of you either live in Canada or have plans (or are hoping!) 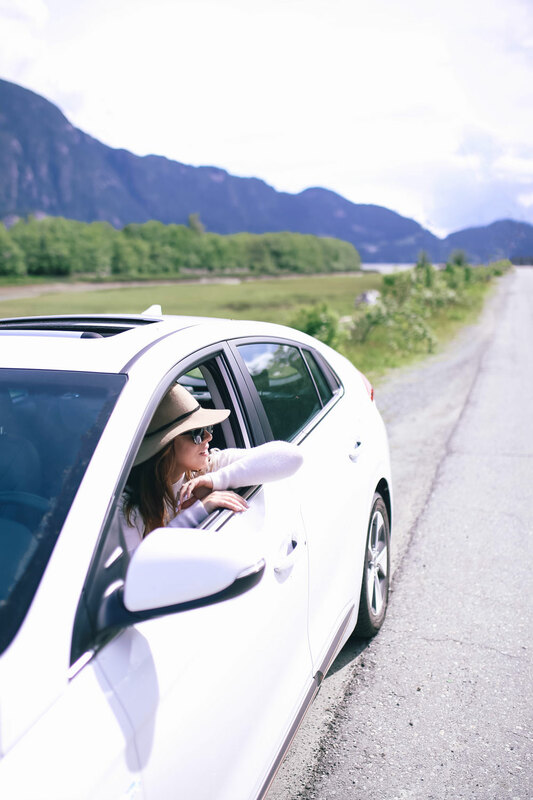 to visit the West Coast, keep this guide handy so that you can map out your own adventure to Whistler when you head up next! 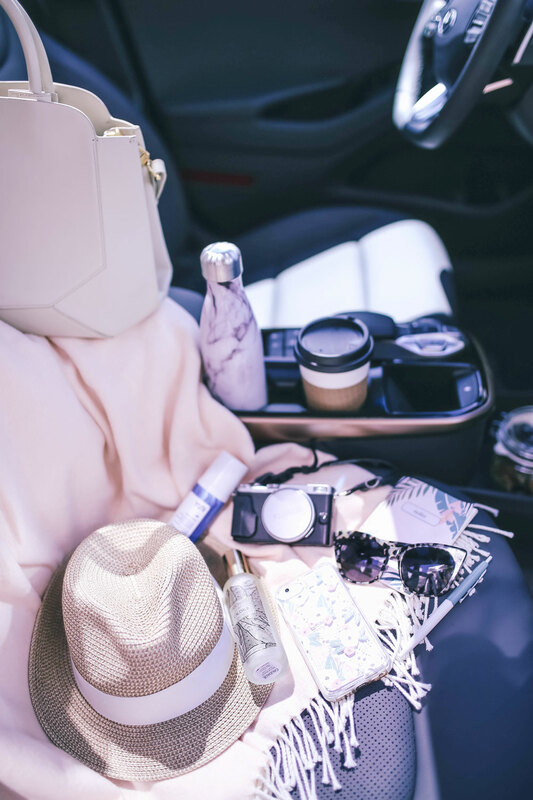 Before we hit the road, we got all our road trip essentials while we charged up the car at one of our local charge stations. I was really surprised to learn how many there are all around town. It was really convenient to just pop over a couple blocks from our place and add a bit of a charge while we did some quick shopping! I’m a big environmentalist so it was pretty life-changing to see just how efficient and eco-friendly this car was, starting from the very fist step before even getting behind the wheel. 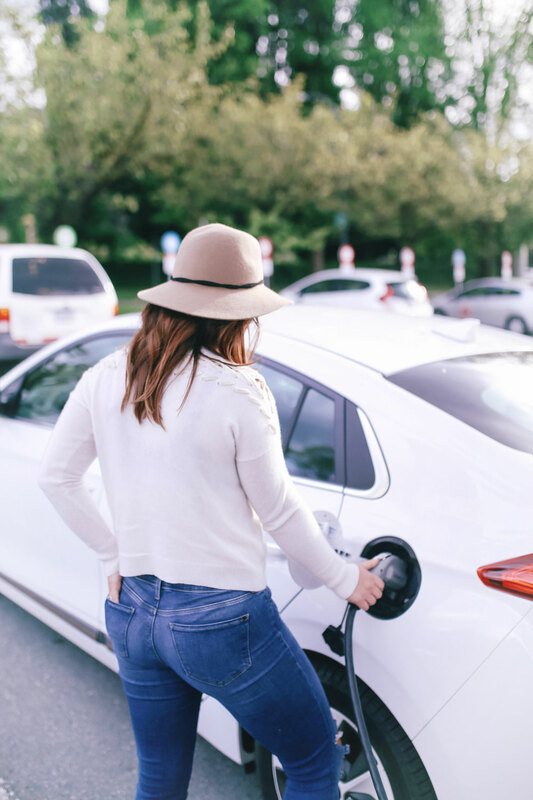 I love that there’s different options available from the hybrid vehicle, which can run on a gas engine, electric motor or both, with over 1,000km range on a single tank of gas. The electric power train gives a 200km range on its compact and lightweight lithium-ion polymer battery. And the electric plus feature has a gas engine that powers up if you run out of charge, turning the car into a hybrid when needed. 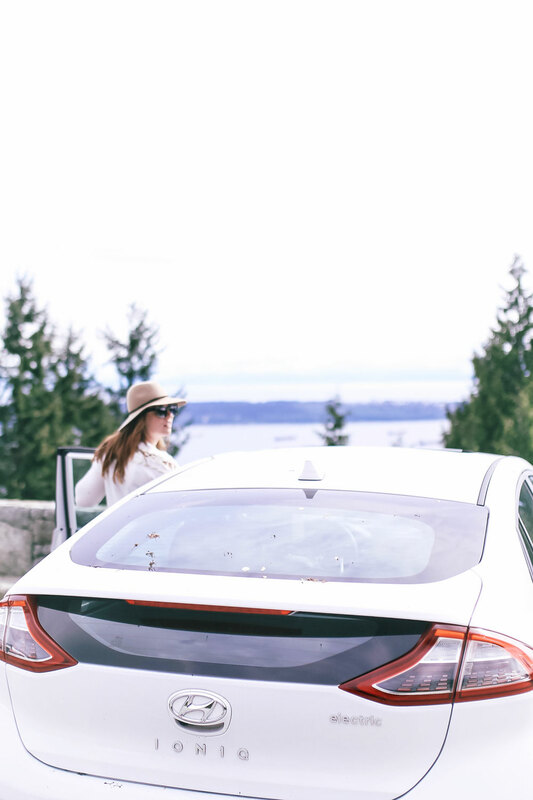 All packed up and ready to go, we took off from our hood near Granville Island and excitedly took the Ioniq out onto the open road. The navigation is killer and even features a charging station nav feature. When you notice you need a charge soon, you can literally just find the closest one and get directions straight there. Fortunately though, we actually didn’t need to charge up the whole day (again, the Ioniq boasts a 200km range, which is massive!). 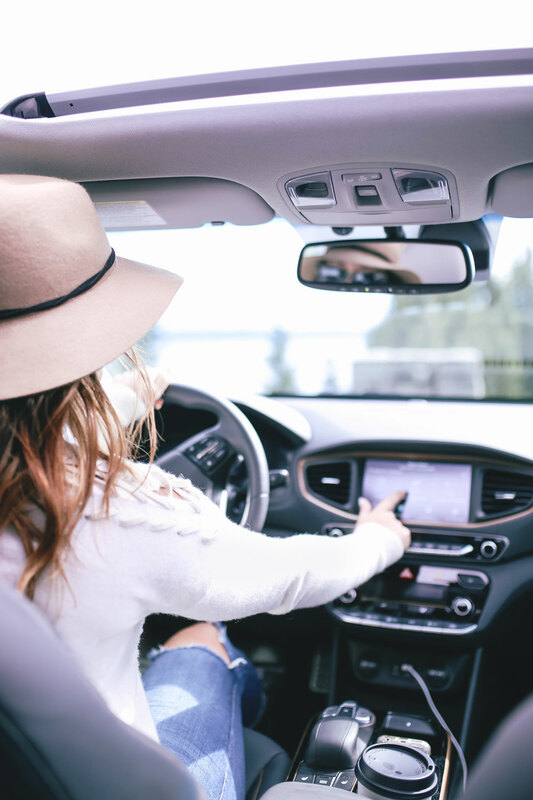 Plus, with eco-friendly tricks you can really max out your charge—everything from driver-specific air/heating control to an eco mode that you can switch into! Pretty amazing. It honestly kind of felt like playing a video game and made us a lot more engaged in our driving. We set our nav first for Cypress Mountain, which is somewhat unnecessary as two North Shore kids, but we were excited to see how it’d all work. Some seamless cruising through the city made all the more cool by the fact that the car is so quiet. You can honestly hardly hear it! 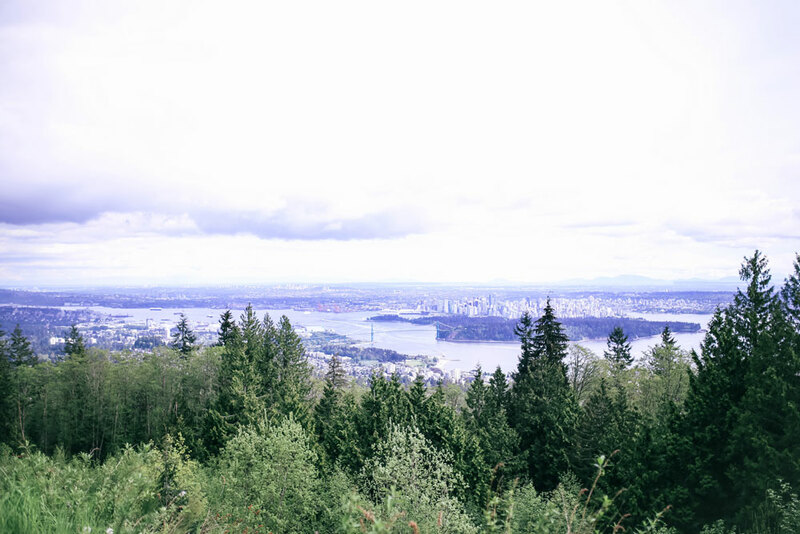 With our sunroof down and some quick switch-backing up the mountain, we arrived at our first spot: Cypress Mountain Lookout Point. There are a lot of great views of the city- Queen Elizabeth Park, the top of Lonsdale, Grouse Mountain, etc., but this is my fave because you get the prettiest view of Lions Gate Bridge. It doesn’t hurt that while lots of people stop by here, it’s got ample space so it’s never hard to get a good shot. We then cruised down the mountain and were really excited to discover that the car actually charges itself when you have some drag or are braking—we managed to add on an extra 5km charge, which was pretty remarkable. Didn’t even know that it was possible to recharge as you went! So much attention to detail went into making the Ioniq as efficient (and fortunately, really luxe) as possible—so many thoughtful details. But we had some quick highway driving to do before we hit our next stop so off we cruised to Porteau Cove – a place my parents insist we used to visit all the time, but that I have zero recollection of visiting (which is disconcerting though I have had 3 sports concussions so also unsurprising). Because I was seeing it with “fresh eyes,” it made it all the more special to discover this gem is literally so close to Vancouver. 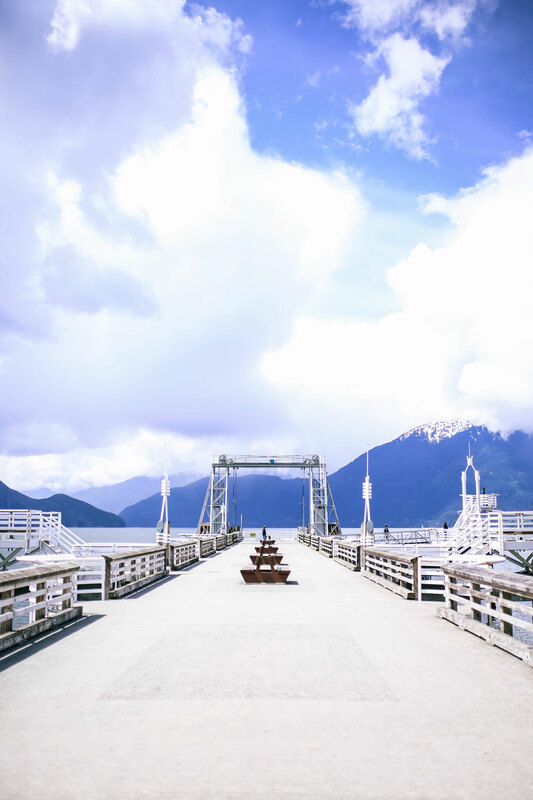 Stop by the old ferry terminal and get some amazing panoramic views of the mountains and ocean, then cruise into the campgrounds to see beautiful views of the cove. Really, really easy to get to and so lovely. 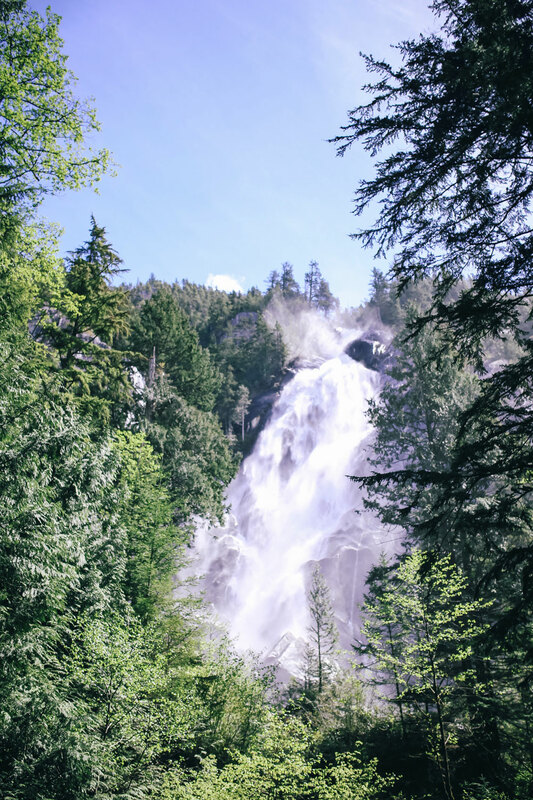 We quickly entered Shannon Falls into our nav and off we went to take in this majestic point—it’s just next to Squamish. What I loved the most was that after parking, you literally just had to walk for a few minutes to get to the different lookout points. The pics kind of do the talking for me. It’s just so epic and a really distinct West Coast experience. We decided to skip the Sea to Sky Gondola in favour of lunch at the very lovely Howe Sound Brewery, which happens to have a charging station right next to it. I was honestly amazed at how many different locations there were. Fortunately, the Ioniq also comes with its own portable charger too. If you have the time, it’s definitely a worthwhile experience and a special way to take in the beauty all around. 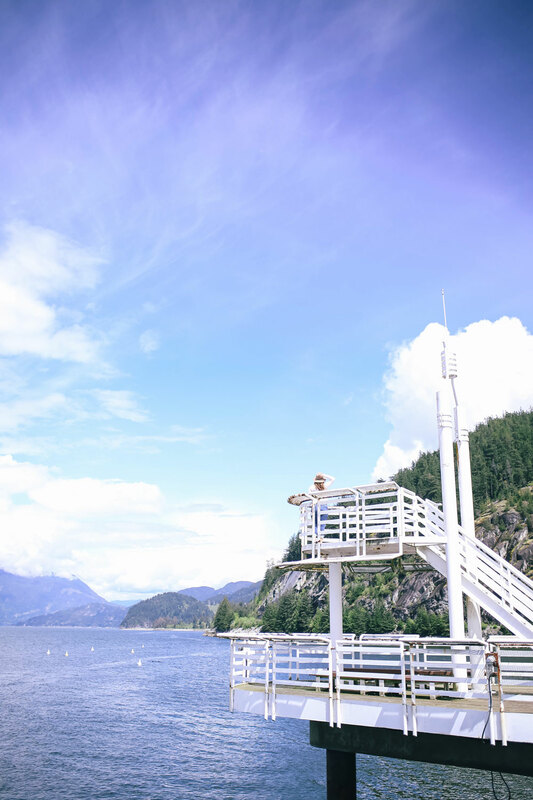 Squamish itself is beautiful, with the rugged mountain line of The Chief, Howe Sound’s sparkling water and lots of great places to check out and eat. 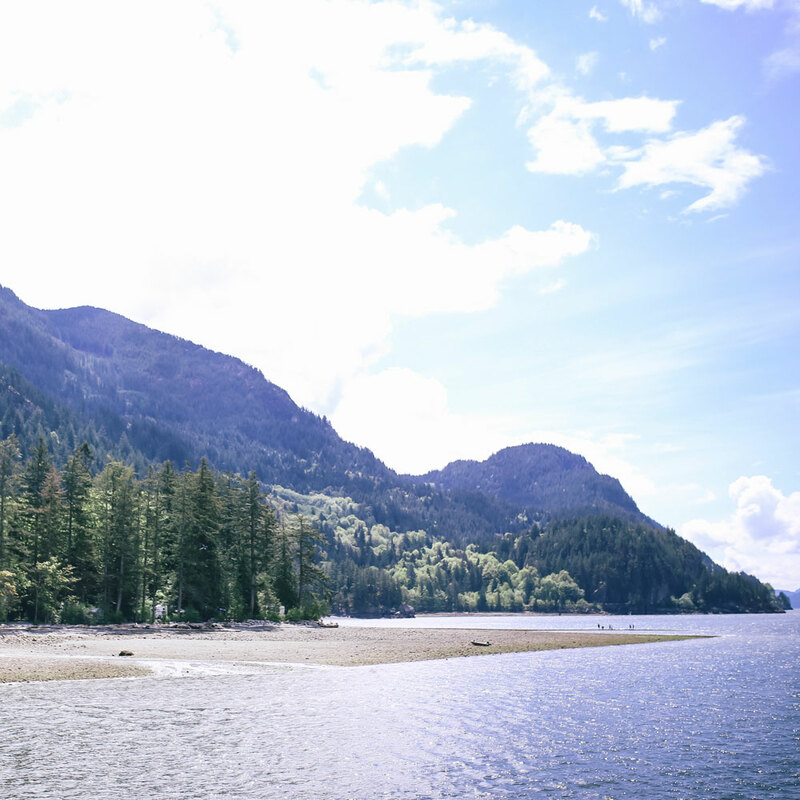 Depending on the day, you can also discover so many of the beautiful lakes around here (from Alice Lake to Browning Lake) before taking off for that final stretch to Whistler! 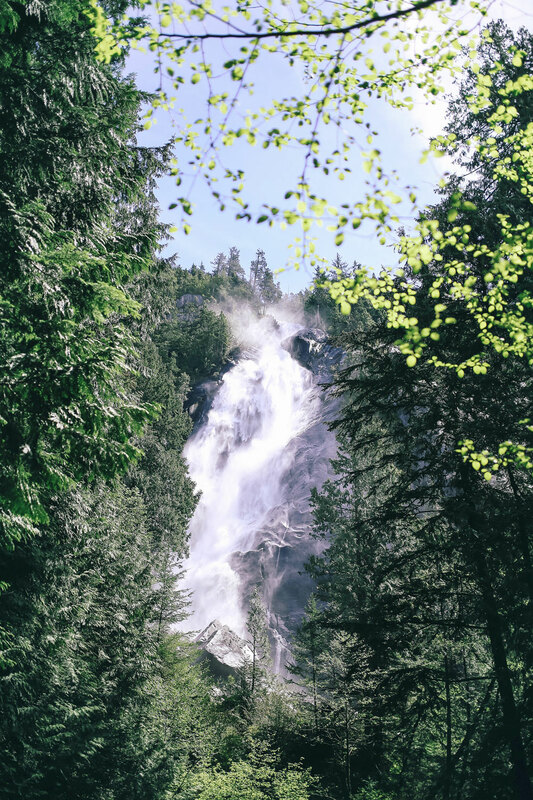 The last honourable mention would be doing the quick hike down to Brandywine Falls, which is just off of the highway right before Whistler. I shared my last hike there in this post and if that rainbow shot isn’t enough to get this hike on your bucket list, I don’t know what will do it! 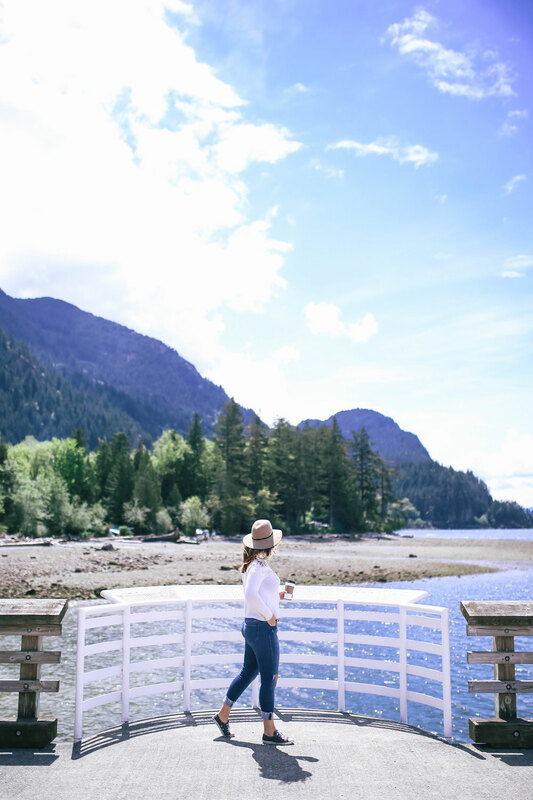 Of course, once you’re in Whis make sure you check out all my many guides here—pretty obviously in love with this town and love coming back as much as I can. I was actually seriously considering moving there last year and haven’t taken that option off the table altogether. Needless to say, whether you’re a local who hasn’t made the trek up yet (or enough!) 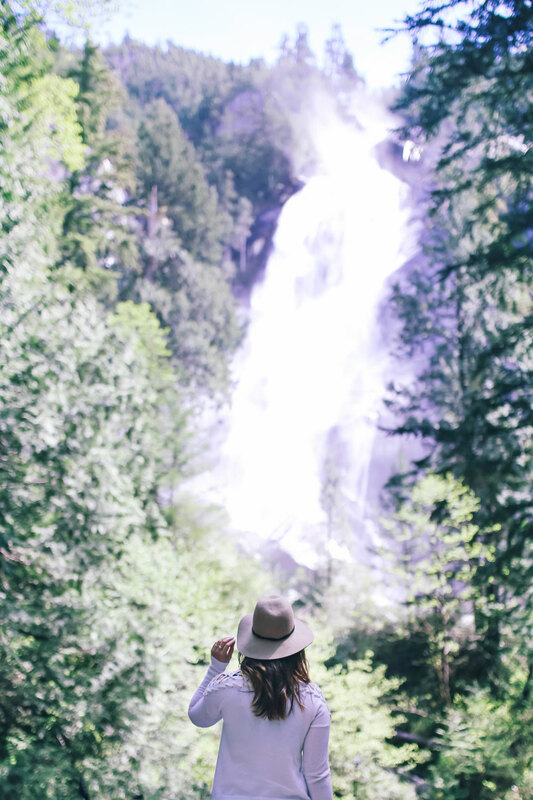 or someone visiting Vancouver for the first time, I would highly suggest going up to get this different perspective on West Coast life, nature and obviously outdoor fun. But for us on this beautiful sunny day, it was time to pack it in and head back to get this beauty charged up. We were so blown away by how efficient it was, how incredible it was to drive and how luxe it felt—also I always assumed for whatever reason most electric vehicles don’t have the most beautiful design, but the Ioniq’s aerodynamic, coupe-style silhouette really felt stylish and safe. From the unbelievably comfy seats to the heated steering wheel and the state of the art navigation, Matt and I are pretty much on board to get one of our own. Especially after getting to experience this test-drive in such a fun way. It also doesn’t hurt we’re both really eco-focused—especially when you’re taking this amazing technology out for a spin in such a beautiful representation of the thing it helps protect (i.e. Mother Nature!). it really got us excited at the prospect of owning an electric car. We’re also hoping to grow our family in a few years so while Matt’s already precious cargo enough for me, definitely an added incentive to really check off all the boxes safety-wise. I was really amazed to learn that Hyundai is the only global automaker that has its own in-house steel plant that creates proprietary advanced high-strength steel. Basically, the super structure of the car is literally built from the ground up within the maker’s factories. Because of this added strength and stiffness (plus reinforcements to critical areas), you not only get more agile handling while driving, but some serious added protection for yourself and your loved ones. 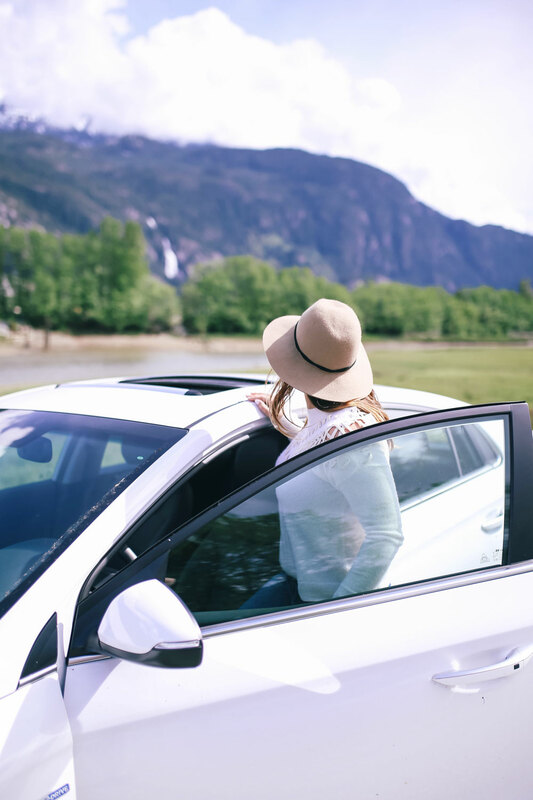 You can test drive the 2017 Ioniq at your local Hyundai and believe me, you’ll be blown away. Would love to hear if you’ve already experienced it or if you have any questions in the comments below! 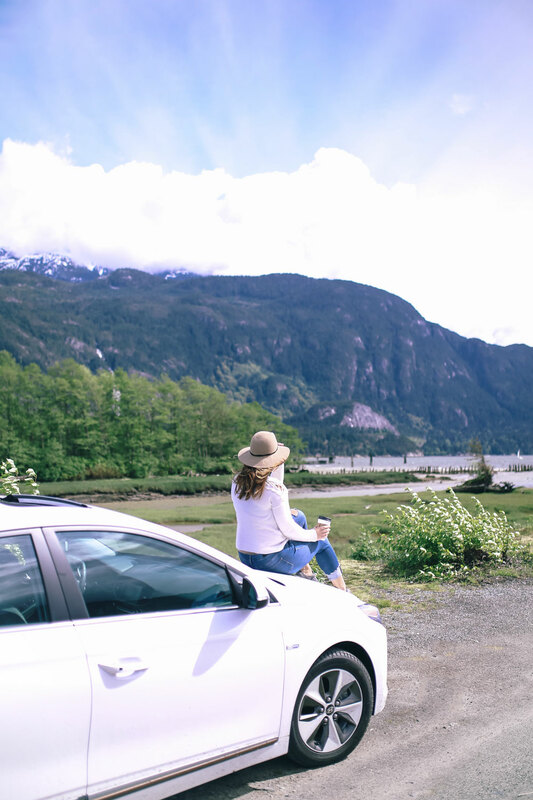 And at any rate, definitely make sure you have this guide on hand for your next West Coast road trip because these sites are all seriously so special and this little getaway from the city was the perfect experience. Amazing photos! Love your car and your outfit. Always love checking out your blog. Thanks for the share. 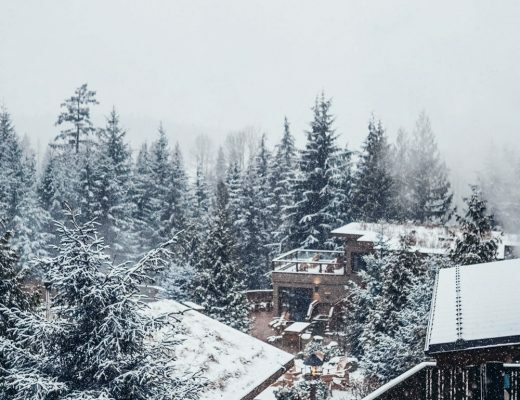 Whistler looks like an amazing place! It’s pretty amazing! One of my fave places in the world 🙂 You should definitely go if you can!